For reliable commercial insulation service in Chamblee, Georgia, turn to the experts at Arango Insulation. We’ve been trusted by many clients throughout the Southeast to provide quality insulation for commercial structures with speed and accuracy, and have delivered each and every time. Our highly trained technicians can perform any type of insulation job, including interior and exterior walls, roofs, attics, and basements, on a multitude of commercial structures, such as corporate office centers, large-scale apartment complexes, and townhome and condominium properties. We pride ourselves on performing an efficient job, which we execute by operating under stringent quality control guidelines. We also boast extremely fast turnaround times, with the majority of commercial jobs being completed within three days. 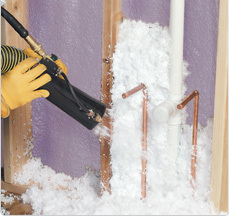 Our technicians are extremely knowledgeable about the many types of insulation we offer, and, as part of our longstanding commitment to providing excellent customer service, are happy to recommend the best product or combination of products to fit the needs of your commercial structure. Contact us today for more information on our commercial insulation in Chamblee, GA. We also offer other services to businesses throughout Georgia and the Southeast, including commercial fireproofing, concrete waterproofing, commercial roofing, and more.